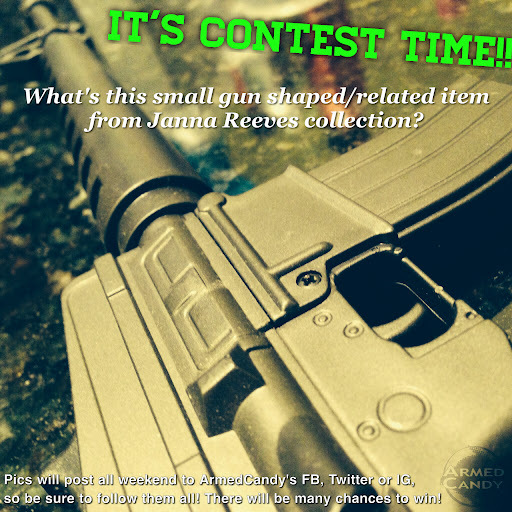 Gun Shaped Object Contest, Beginning Right Now!! I'm not sure how many of you are aware of this, but Miss Janna Reeves is a collector of all things miniature and gun related. I am based at the Noveske Shooting Team Playhouse for the weekend and every time I turn around I find more goodies that have a barrel and trigger, but nowhere to put ammo! It's like a fun little treasure hunt to see how many items in this house are gun shaped, but not actually guns. Today I will start a contest! This contest will only last until Monday morning (June 2nd, 2014 10am Eastern time) but it will have multiple winners. Over the course of this rainy weekend (at least in Georgia) I will post close up images of gun shaped items that I find in Janna's collection. They might post to FaceBook, Instagram or Twitter, so be sure to follow all of the ArmedCandy socials. The first to guess the item correctly, will be the winner! 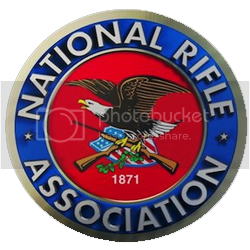 Prizes will include Freedom Munnitions and Noveske shwag as well as other items! I will announce the names of the winners as we go, so don't get discouraged if you miss one, another will post soon after.